This project was done during Masters at IDC. 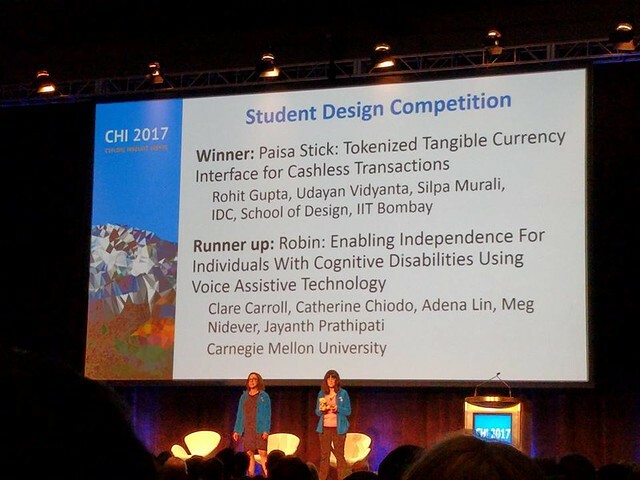 The project was selected as winner in student design category at CHI 2017 in Denver, Colorado. The paper on the same has been included in conference proceedings and can be read here. 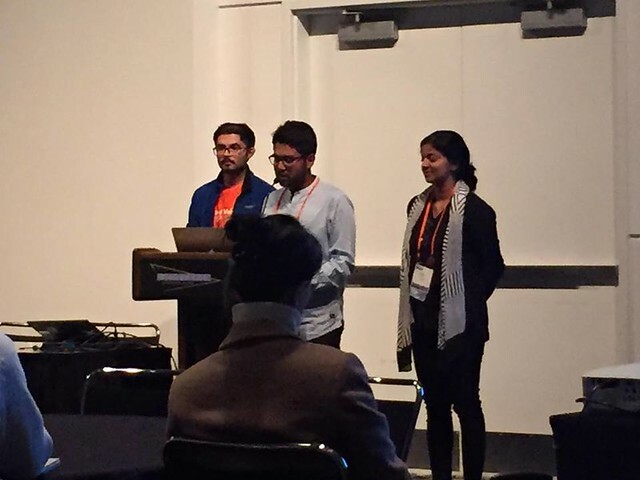 The team members were Udayan and Silpa. 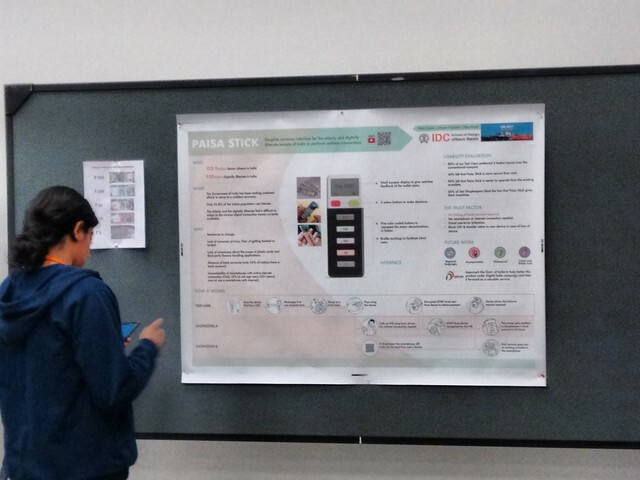 Paisa stick is a tangible payment interface designed to perform cashless transactions. We designed it by understanding the conceptual model of senior members in the society. 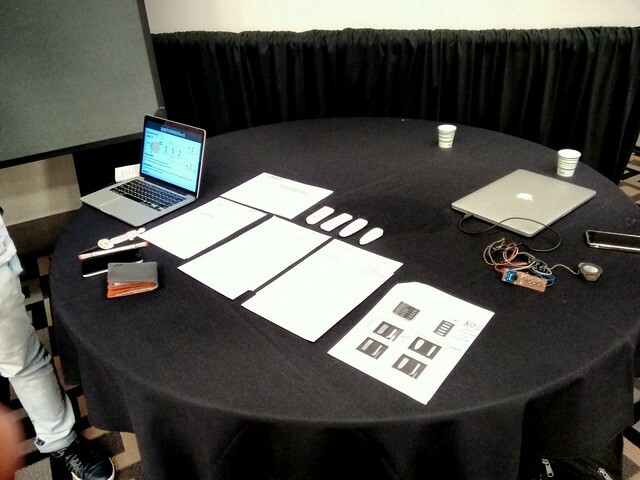 The device works as a remote and transfers value from one device to many other different types of devices like phones, IVRs, and android apps. User is always informed about the money he has and he can simply press the buttons to generate any required currency value. The device is not connected to internet and has actual value stored in the device. It can be recharged like a phone. In our field studies, the users described how they think about money. The metaphor of a wallet as a store of lower value was very dominant. 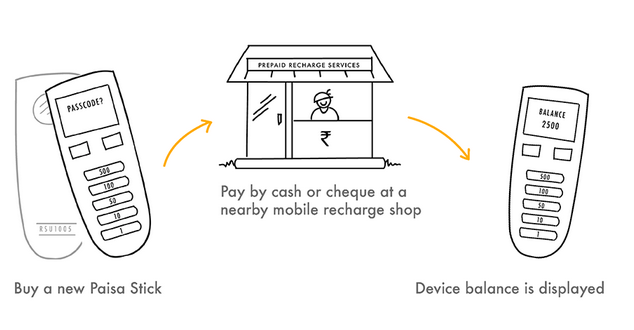 They faced difficulties in using popular mediums like BHIM, PayTM, and even ATMs. However, the idea of telephone recharges was something they liked. 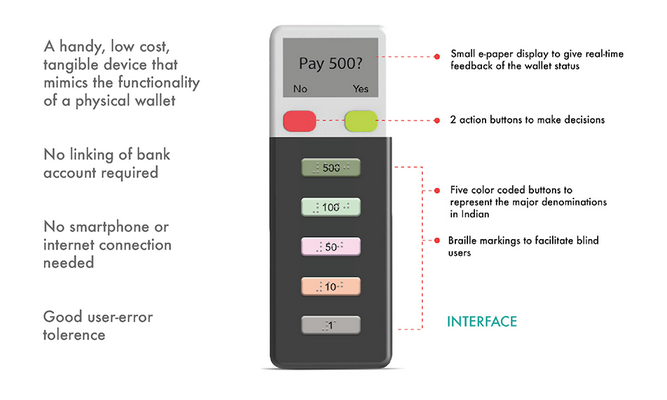 So, we designed and prototyped a device that allows them perform cashless transactions while with the comfort and security of a wallet. The competition brief can be read here. In the light of this brief, we chose to work on how might we help the elderly and digitally illiterate perform cashless transactions. 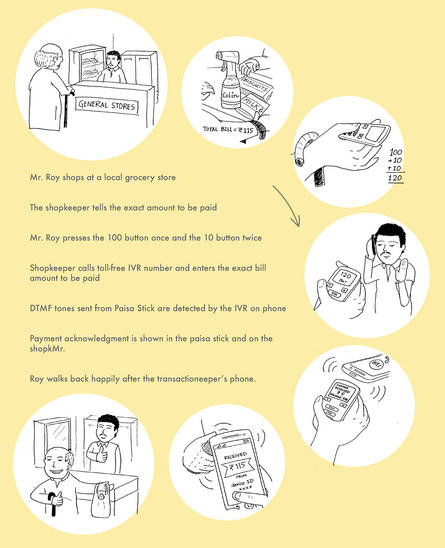 The recent events of demonetization helped in setting up the premise for such a solution. Our main contribution was conducting several studies to try and understand the conceptual model elderly have towards performing such transactions. 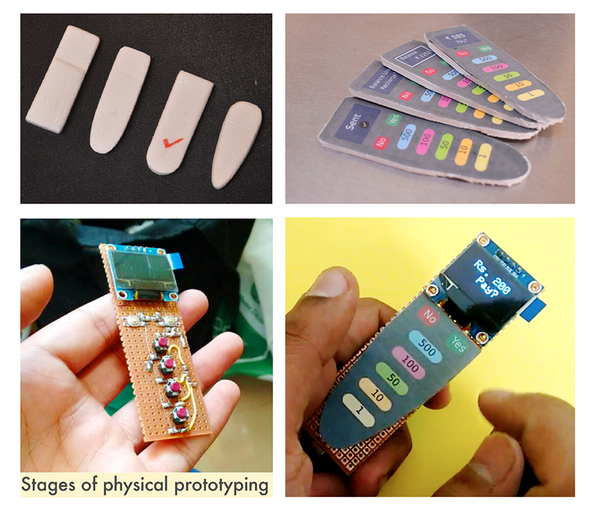 These product renders by Nikhil helped us understand the form and prototype features like support for braille. Read more about my CHI 2017 Experience here. The detailed paper can be read here.